Watch Solomun's favourites moments and check the track names. Weapons! - Track? !D. Home » Feel Privileged » Solomun » Updates » Watch Solomun's favourites moments and check the track names. Weapons! Watch Solomun's favourites moments and check the track names. Weapons! Usefull infos about Solomun - Scroll down for the tracknames. Diynamic boss Solomun returns to the Pacha Ibiza every Sunday for the sixth summer in a row for 21 dates from May 27th to October 14th! 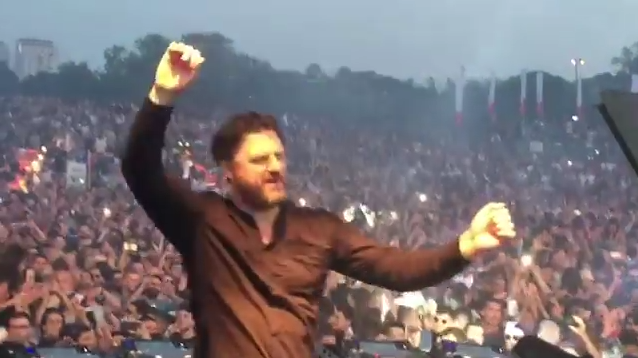 Solomun b2b Agoria at Parc des Expositions at Paris Le Bourget playing this long awaited bomb.The track is still Unreleased probably it’s not a remix of the track of D-Nox & Victor Ruiz others say it it, stay tuned.